The immune system is a complex defense system our bodies employ to protect us from germs and other foreign invaders in the environment. Our immune system is triggered by antigens, which are foreign proteins found on cells. Once an antigen is detected, our white blood cells produce the antibodies specifically engineered to attack and destroy that particular antigen. As this occurs, a sample of that antigen is saved and stored in the body, allowing it to be more quickly reproduced in the event of a recurrence of the same illness. This is why adults are less susceptible to many of the illnesses that affect children. 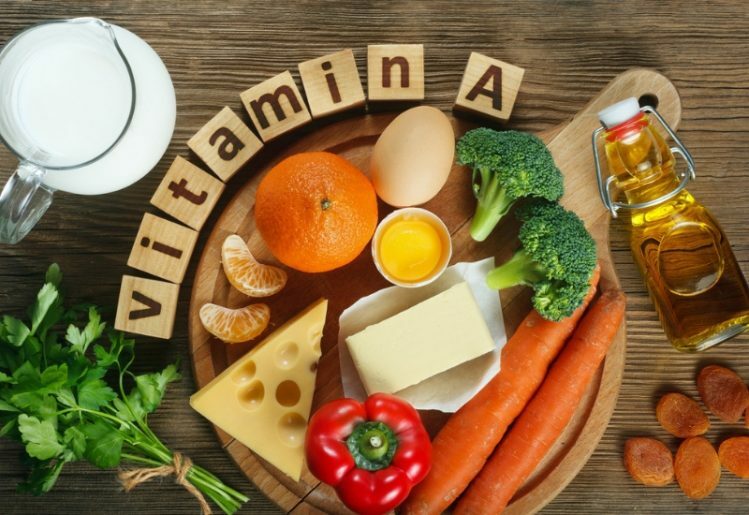 New research examining vitamin A and immune system functioning has uncovered how our gut bacteria interact with both vitamin A and the immune system, highlighting the importance of nutrition in overall health and immunity. The immune system works primarily through the actions of our white blood cells, which are stored at various sites throughout the body. White blood cells occupy the thymus, spleen, bone marrow and lymph nodes, since these are the best positions from which to monitor the body. 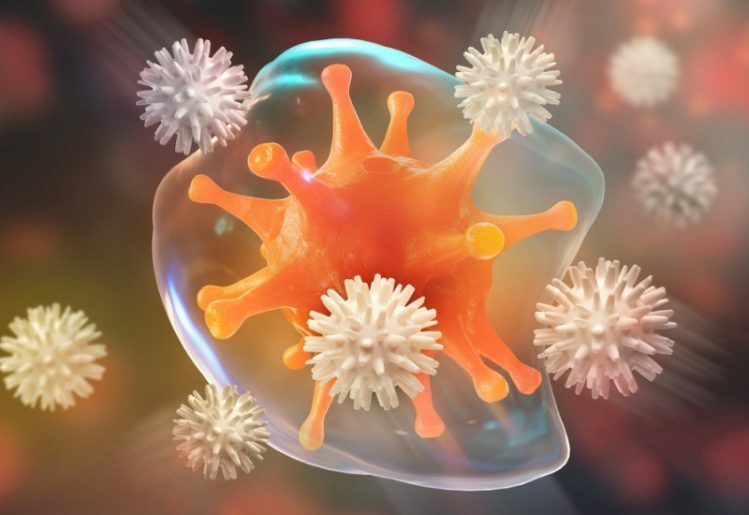 When the white blood cells detect a foreign substance in the body or an abnormal growth, they attack the foreign object as a means of protecting the body. Neutrophils are responsible for attacking harmful bacteria in the body. Macrophages are responsible for seeking out and removing dead cells. Mast cells are responsible for healing wounds and guarding against pathogens. Meanwhile, lymphocytes serve a more specific purpose in the immune system. The B and T lymphocytes in the body are responsible for identifying foreign substances that have previously invaded the body. The B lymphocytes stay in the bone marrow, where they can continue producing antibodies. The T lymphocytes move to the thymus and wait for those antibodies to notify them that a foreign invading substance has returned. Once they become aware of an infection, the T lymphocytes send out messages to phagocytes, while also attacking the infected cells. How Do Gut Bacteria Affect Health? Our immune systems were designed to work with other systems in our bodies, and new research suggests this includes the gut microbiome. Research using pregnant rats suggests that infants are born with gut bacteria that help the digestive system function, while other evidence suggests newborn infants also obtain healthy bacteria through breastfeeding. The breast milk of human mothers contains helpful bacteria that is ingested by infants and delivered to the gut microbiome in the digestive system. The formation of the gut microbiome helps the digestive process, and researchers believe a more diverse microbiome helps infants adapt to a larger variety of foods. For example, infants without a diverse microbiome were found to be more sensitive to certain foods. These children were far more likely to develop allergies to dairy products, eggs and peanut butter within their first year. A more diverse gut microbiome can also help people resist the development of conditions such as obesity, some types of cancer, autism and some types of mental illness. Considering the huge impact the gut microbiome has on overall health, it's not difficult to see why much research has focused on ways to support a healthy balance of beneficial gut bacteria. One of the best ways to improve the gut microbiome is by ingesting fermented foods, such as yogurt, sauerkraut and miso, and by eating high-fiber fruits or vegetables. A study published in 2014 also suggested physical activity helps the body produce helpful gut bacteria. In this study, the gut microbiomes of 40 rugby players were compared to the microbiomes in two separate control groups. The rugby players were found to have increased levels of Akkermansiaceae, which is a bacteria known to reduce the risk of obesity in adults. We know that the immune system is responsible for attacking harmful bacteria throughout the body, and we know that the health of our bodies also depends on the helpful bacteria that comprise the gut microbiome. This knowledge has led researchers to ponder how or why the immune system can differentiate between bad bacteria and the good bacteria in the gut microbiome. Recent studies have found that the presence of vitamin A in the digestive system may be the key to solving that mystery. According to Shipra Vaishnava, who led a recent, groundbreaking Brown University study, when vitamin A enters the intestinal tract, it prevents white blood cells from becoming overly active. Studying the gut microbiome in rodents, the researchers noticed that the bacteria in the gut microbiome released a protein to promote the release of vitamin A. The relationship between vitamin A and immune system functioning suggests that the gut microbiome uses the protein as a protective response to immune system interference. The protein, which was identified as retinol dehydrogenase 7 (Rdh7), changed vitamin A into retinoic acid. Retinoic acid is a highly active form of vitamin A, which inhibits immune system response. When rodents were genetically altered to have a reduced level of Rdh7 in the intestinal tract, their bodies released molecule IL-22. The IL-22 triggered the immune system's response, causing it to initiate the antimicrobial activity in the gut microbiome. More research is needed to better understand how the gut microbiome and the immune system function. Even so, we already know that vitamin A regulates how these two systems relate to one another. Understanding more about this relationship may help us develop better treatments for autoimmune diseases, which may be based on vitamin A therapies. In the meantime, eating foods rich in vitamin A, such as beef and lamb liver, salmon and king mackerel, may help boost efficiency of your gut microbiome. This can have wide-reaching effects on your overall health and help reduce the likelihood of developing certain diseases.